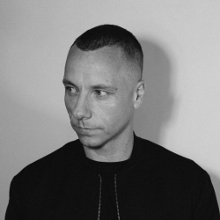 Nomine (aka Andrew Ferguson) is a hugely experienced Producer, DJ and audio engineer whose journey through the UK's dance music scene began over 20 years ago. Initially known as Outrage, Andrew was one of the pioneers of the jungle sound, DJing on Rinse FM in the station’s early pirate days and releasing tracks on Goldie’s Metalheadz label. With his more recent music now appearing on labels such as Tempa, Dubzilla Recordings and his own Nomine Sound, alongside lecturing at the University of Bedfordshire and SAE, you can trust in Nomine to deliver a truly insightful, and infinitely useful, series of tutorials on Jungle production. With over five hours of comprehensive videos, this massive course will teach you all of the ins and outs of creating Jungle, the fast paced and instantly recognisable genre that's been tearing up dancefloors since the early 90s. You'll gain a deep understanding of the classic sounds that can be found in countless tracks, as well as a detailed look at Nomine's meticulous approach to engineering and refined production methodology. Not content to just show you what he does, the course is also packed with workflow tips and tricks to transport your production abilities to the next level. With unlimited availability after purchase, the course and accompanying materials are available to stream online 24/7/365. Included with the course are 120MB of bonus Jungle Samples, courtesy of Loopmasters, for use in your own productions. Check out the trailer and sample module now to kick-start your Jungle production journey today! In the first module, Nomine gives you an insight into the foundations of Jungle and suggests some great resources for getting up to speed with the origin of the most famous breakbeats. In module 2, Nomine shows you how to properly import, time stretch and edit your imported drum samples, before converting them to a new sampler track and experimenting with different patterns. Module 3: Creating the Classic 'Funky Drummer' and 'Amen' Breaks. Next, Nomine demonstrates how he uses two classic breaks, the 'funky drummer' and 'Amen' break, and includes an explanations of the different flex algorithms used by Logic. He chops up the original sample and resequences the MIDI, carefully editing specific events to remove unwanted sounds. In this module, Nomine layers the classic break loops with powerful 808 kick samples to give the foundation of the track a powerful and modern twist. He then demonstrates how to process the individual drum sounds to sit the different parts together and fill the frequency spectrum. In module 5, you'll see how to add and process additional drum parts, to fill out the spectrum without creating any conflicting elements. Nomine adds a ride cymbal and bongos, resulting in an exciting and energetic range of drum sounds. Next, Nomine moves onto the bass parts, creating several different options to use during the track. He creates a classic 808 bass line, using various patterns, before checking that the kick and bass don't clash by analysing and tuning the pitch of the kick drum. Ensuring you have all of your different parts in the same key to prevent them clashing, Nomine moves onto tuning the bongos and rides, and demonstrates his meticulous approach to production by even tuning the breaks. In module 8, Nomine shows you how to build a bass part starting from a sine wave, harking back to the early days of Jungle and the AKAI sampler. Using phase in a creative way, he walks you through synthesizing some bass line wobbles using the EXS24. In this module, you'll first learn how to sequence a gliding bassline to add even more flavour to the track. Then, you'll be shown how to create a classic 'Kevin Saunderson' style Reese bassline, a staple of the genre. After making some changes to the sounds, Nomine gives a thorough recap of the parts he's created so far, and how he's started to use them in the track. Next, he begins the process of layering the bass and sub, creating that huge, powerful bottom end. Starting to create the melodic elements, Nomine designs a string sound using Logic's Retro Synth, which models some classic analogue synthesizers, then creates a chord sequence. Next he shows how to EQ this chordal part to prevent it overpowering the other elements. In module 12, Nomine gives an introduction to the music theory principles that underpin his production and DJing. He describes how to use music theory to create interesting chord sequences, melodies and basslines that express the moods and emotions you want to infuse into your music, and includes some resources to help you use this knowledge in your own tracks. In this module, Nomine creates an electric piano chord progression using the skills taught in the previous module. He then demonstrates the sound design and describes the FX processing used to create the instrument, and discusses his use of FX busses. In module 14, Nomine begins to add melodic parts starting with an atmospheric 'bleep' line. He adds delay and reverb to the sound and then bitcrushes the part, giving it a dirtier, crunchier tone which cuts through the mix. In this module, Nomine runs through each of the parts, describing the new additions he's made to the percussion. Next, he goes back into the bass parts, explaining why he's chosen them and how he makes them fit together. Not all producers are master of the keyboard. To save time, Nomine gives a demonstration on how you can utilise Logic's Scale Quantisation feature and uses it to create additional bleep variations in harmonically pleasing ways. In module 17, Nomine sequences a dissonant pad sound which adds powerful emotive content to the track. Next, he adds a Mentaz sample, with a tremolo sound, a staple of DnB and Jungle. In this module, Nomine recreates many of the classic sound effects and vocal hooks found in the biggest Jungle and DnB tunes, including ones he uses in his own tracks. Going through them one by one, Nomine shows you that it isn't just the original sounds, but the creative way they're used, that makes them stick in the brain! In Module 19, Nomine finishes creating the different options that he'll use to create the track, including a brief discussion about his approach to truly 'knowing' a genre. Beginning the arrangement section, Nomine starts by comparing all of the existing parts to see what fits together. Continuing from the previous module, Nomine performs some pre-mixing, to refine each of the individual parts before beginning the arrangement. Focusing on envelope shaping first, he tightens up the sound and makes it punchier and prouder using a transient shaper plugin and editing of envelopes in the various synths. Beginning the arrangement, Nomine starts by shaping an atmospheric introduction which builds a huge sense of excitement going into the track. Using his methodology described earlier in the course, the track quickly begins to take shape. Continuing the arrangement, Nomine constructs the first drop, bringing in the powerful bass to shake up the dance floor. Next, he begins work on a breakdown, building anticipation before the drop into the main section. In module 24, Nomine explains how to create a powerful drop. He simplifies the different elements, removes the slower sounds and refines the resulting massive section. Then, he starts work on a second breakdown, returning to some of the melodic parts created earlier in the course, as well as using automation to build excitement. In this module, you'll see how Nomine continues through the track, refining the breakdown started in the previous section. He then builds another main section, creating variations by adding sound effects and automation. Coming to the end of the track, Nomine begins work on the outro, taking the track to four and a half minutes, before playing through the track so far. In the final module, Nomine plays through the finished arrangement and then provides a commentary on the most important mixing and production aspects, before showing how to create a quick DIY mastered bounce of the track. Nomine (aka Andrew Ferguson) is a hugely experienced Producer, DJ and audio engineer whose journey through the UK's dance music scene began over 20 years ago. Initially known as Outrage, Andrew was one of the pioneers of the jungle sound, DJing on Rinse FM in the station's early pirate days and releasing tracks on Goldie's Metalheadz label. With his more recent music now appearing on labels such as Tempa, Dubzilla Recordings and his own Nomine Sound, alongside lecturing at the University of Bedfordshire and SAE, you can trust in Nomine to deliver a truly insightful, and infinitely useful, series of tutorials.